This is a pathbreaking study of Tejano ranchers and settlers in the Lower Río Grande Valley from their colonial roots to 1900. The first book to delineate and assess the complexity of Mexican-Anglo interaction in south Texas, it also shows how Tejanos continued to play a leading role in the commercialization of ranching after 1848 and how they maintained a sense of community. Despite shifts in jurisdiction, the tradition of Tejano land holding acted as a stabilizing element and formed an important part of Tejano history and identity. The earliest settlers arrived in the 1730s and established numerous ranchos and six towns along the river. 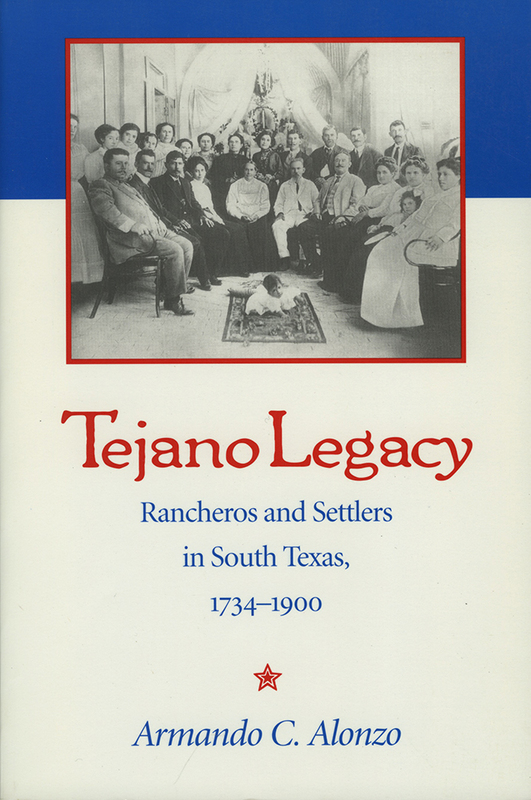 Through a careful study of land and tax records, brands and bills of sale of livestock, wills, population and agricultural censuses, and oral histories, Alonzo shows how Tejanos adapted to change and maintained control of their ranchos through the 1880s, when Anglo encroachment and changing social and economic conditions eroded most of the community's land base. Armando Alonzo is a borderlands scholar in the History department at Texas A&M University. "The book is a valuable addition to those publications that continue to strengthen the New Western History." "...a masterful overview of the region's historical heritage beginning with the settlement of the river villas under colonizer Jose de Escandon in the mid-eighteenth century."